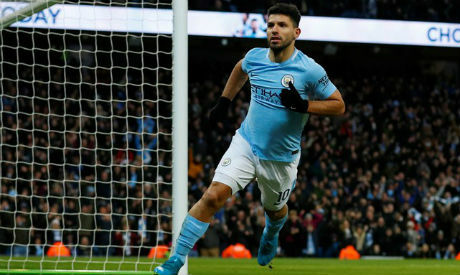 Manchester City striker Sergio Aguero has said there is no lingering pain in his knee for the first time in years and he feels in peak condition following surgery in April. Aguero missed the end of last season as City won the Premier League but the 30-year-old recovered to make Argentina's squad for the World Cup in Russia where he scored two goals before their exit from the last 16. "I feel fantastic ... I don't feel any discomfort," Aguero told the club's website https://www.mancity.com/news/first-team/first-team-news/2018/september/man-city-striker-sergio-aguero-predicts-tough-fulham-test. "During the past few years, I felt pains at times and when last season came to an end, we decided it would be best to start treatment. And the results were positive." "I'm not sure if this is the best start of a season for me, but it's the best I've felt in years," Aguero added. "It shows in my game. The challenge now is keeping up this level, and I'll be working nonstop to maintain it."